Perfect for dispensing all types of herbs and spices in your kitchen! 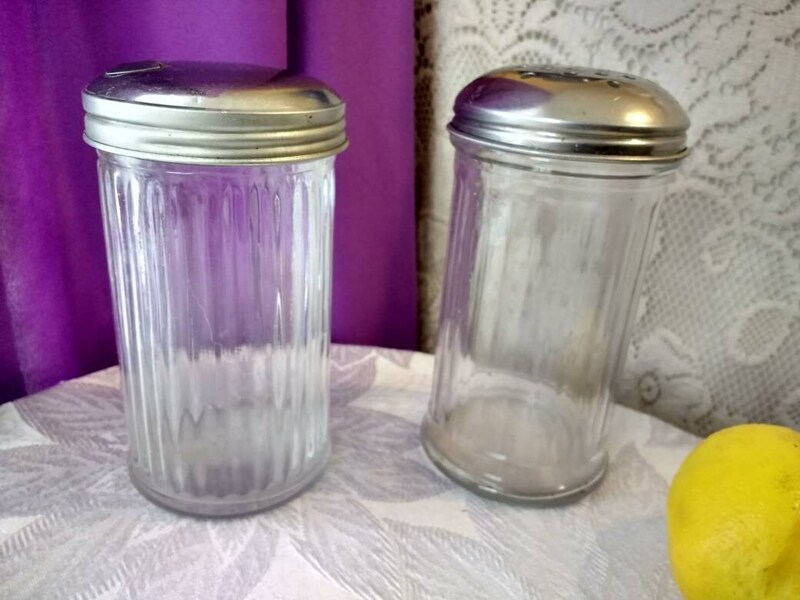 The two larger shakers have different style tops. These could go as far back as the 50's or possibly older. With the increased popularity of Diners in the 40's they became very popular to reduce trips for the waitresses! 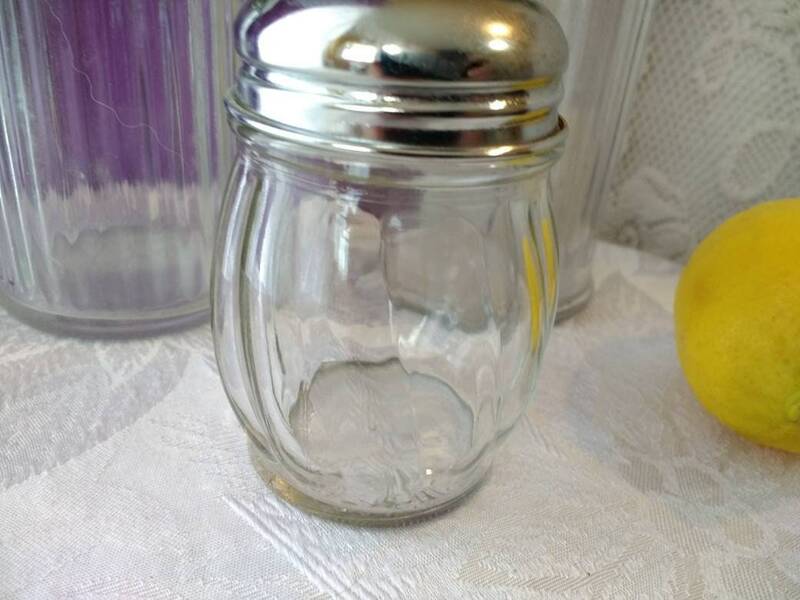 The sugar lid falls easily back to cover the jar after pouring. I believe it's top is made of Nickle. 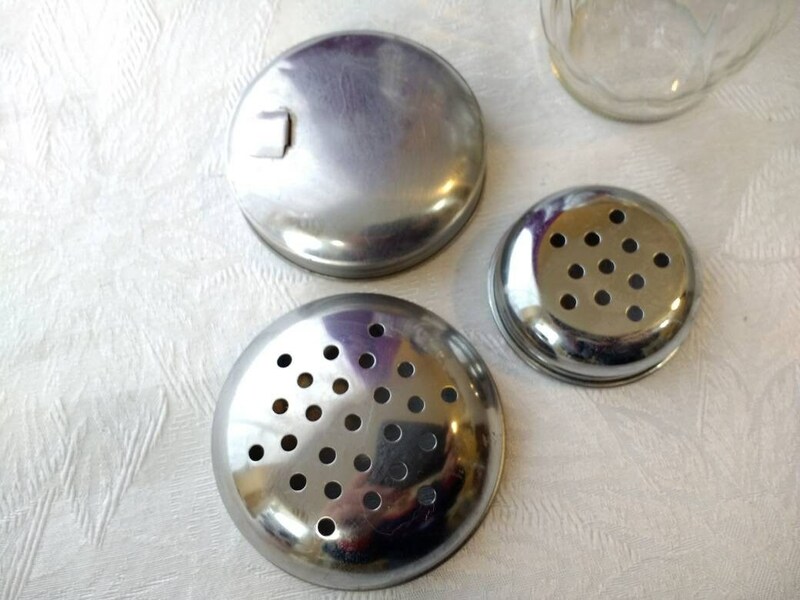 The multi hole shaker top on the large one may not go back that far. 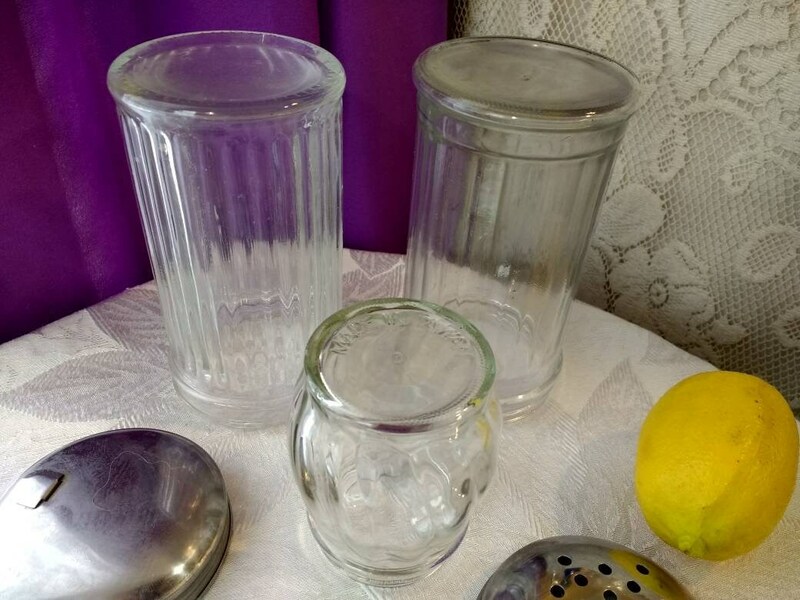 The newer ones have wider ridges in the glass. 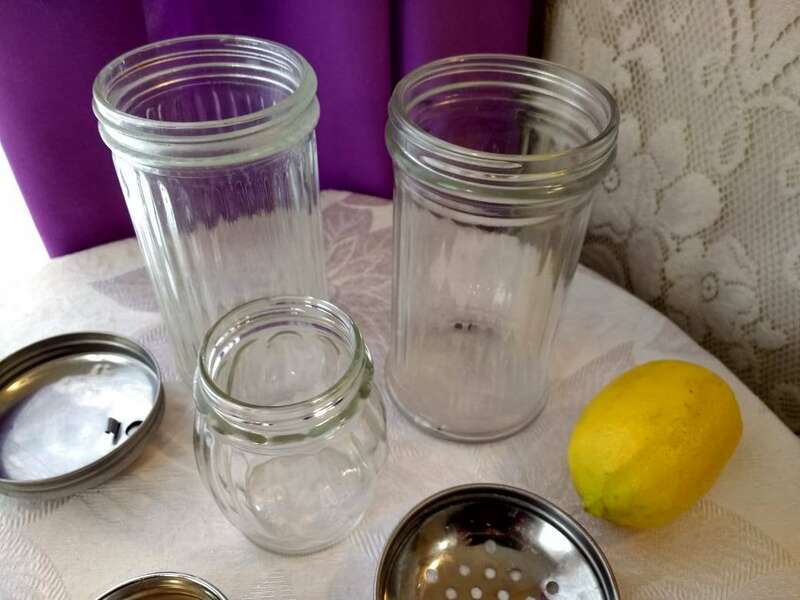 The glass is also heavier in the older shakers. They weren't thinking about how to save money in production back then. I polished the tops up. 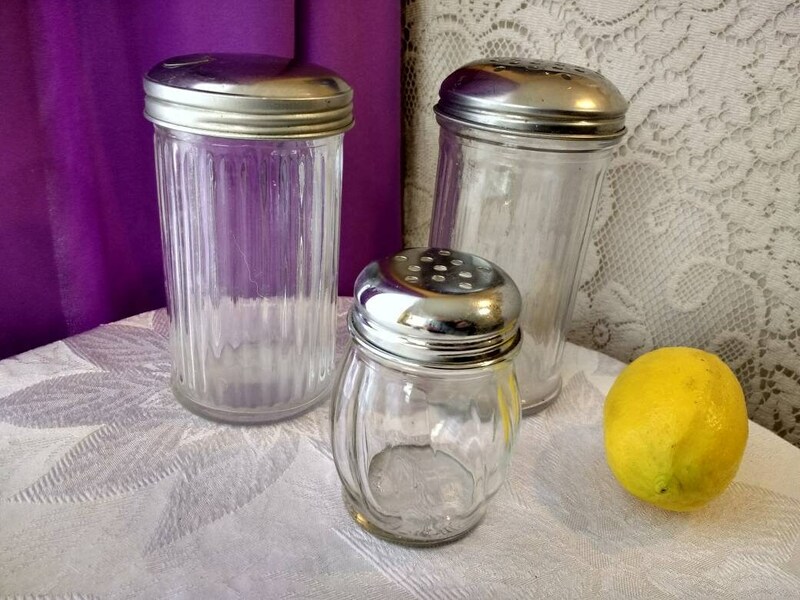 There are a few expected "character" dings in the larger sugar pourer shaker. 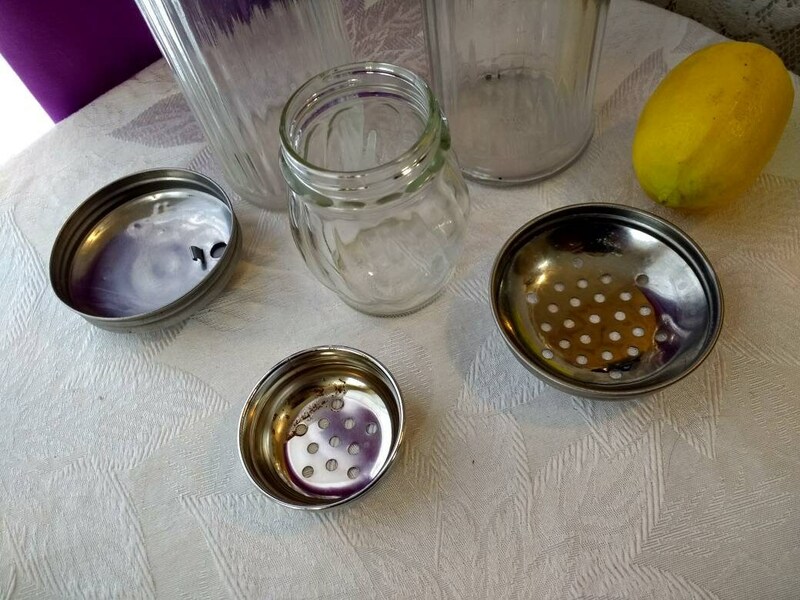 The smaller cheese shaker is glass also. 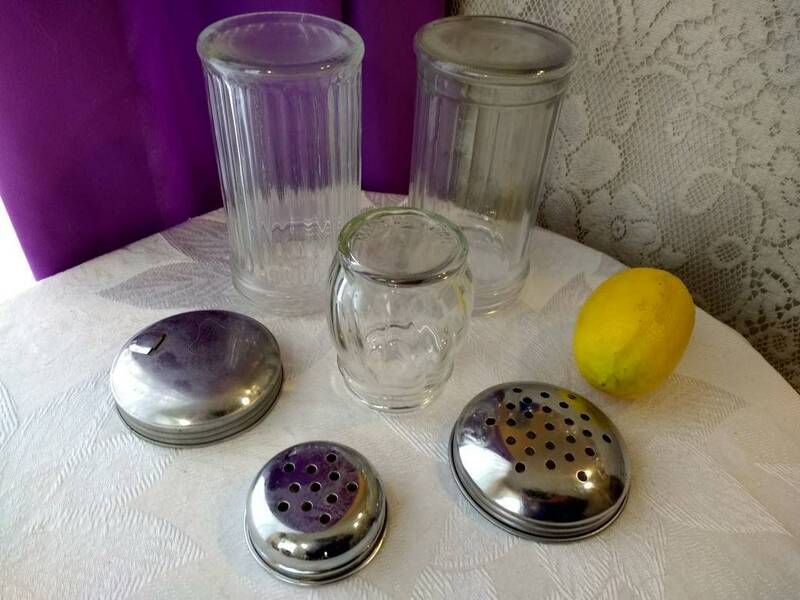 Very popular in the 60's, but more likely the 70's, also for serving Parmesan cheese, powered garlic or red pepper in a Pizzaria. They are still used today though most are plastic. I cannot find any history on these. they could have been introduced sooner 1940's or 50's. No telling the exact age of this one. It says made in Taiwan. Living near NYC we saw a lot of these growing up. I know I used them eating out we had! I love living in the east because these items can still be found in the thrifts stores. They are still used today and sold today but the quality is just NOT the same. 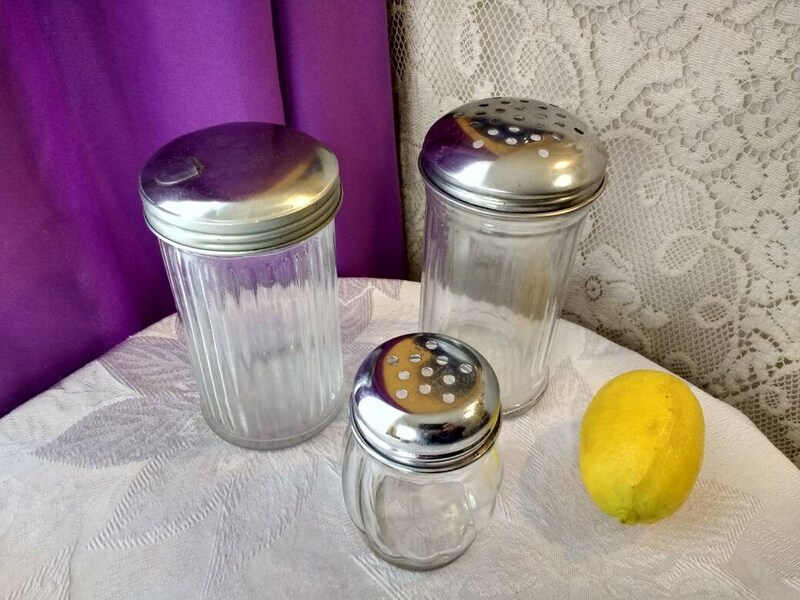 The tall shakers are 5 1/2 inches tall and 3 inches wide. 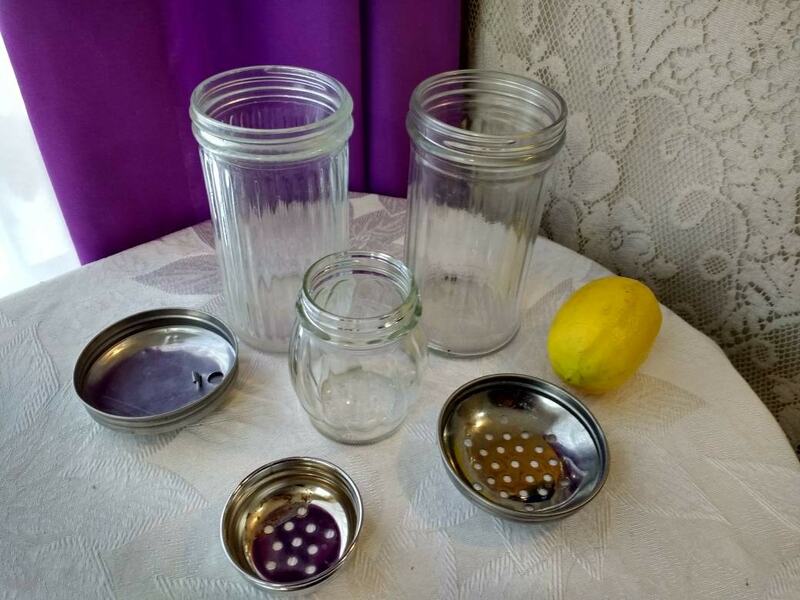 The smaller shaker is 3 6/8 tall and 2 inch diameter lid.